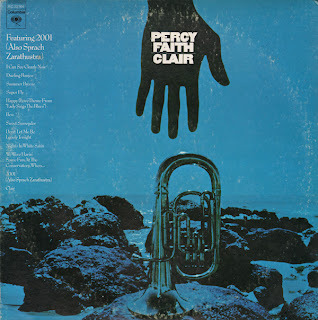 This is the first Percy Faith album that I've stumbled across that seemed promising to me. The cover graphic is mysterious and the track list is interesting. 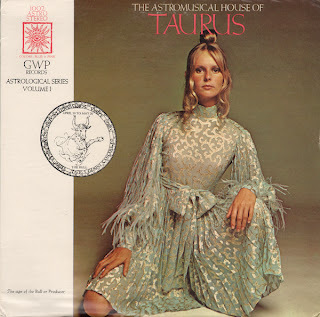 Thankfully, there is enough early 70s light pop sass on the vinyl to make the discount bin 50¢ I paid for money well spent. I'm not sure what the deal is with this album. 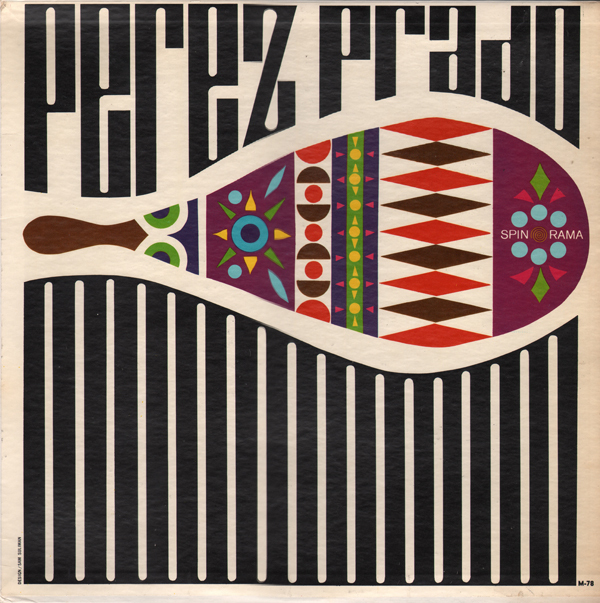 From the back cover: "...as a fitting companion to Perez Prado's exciting orchestra is the Latin Group of Eddie Maynard." 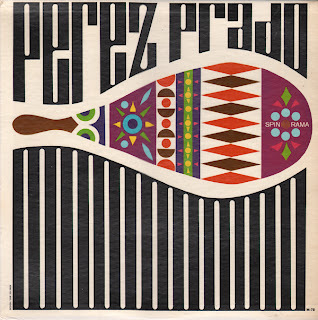 It is hard to tell if "Maynard" was playing under Prado's direction, or as a part of Prado's group or if Spinorama included tracks from two sources on the LP (seems more likely as I listen). The back cover also seems to be repurposed from another jacket as the title treatment and art can also be found on the back of a "Celebrity Records" release. 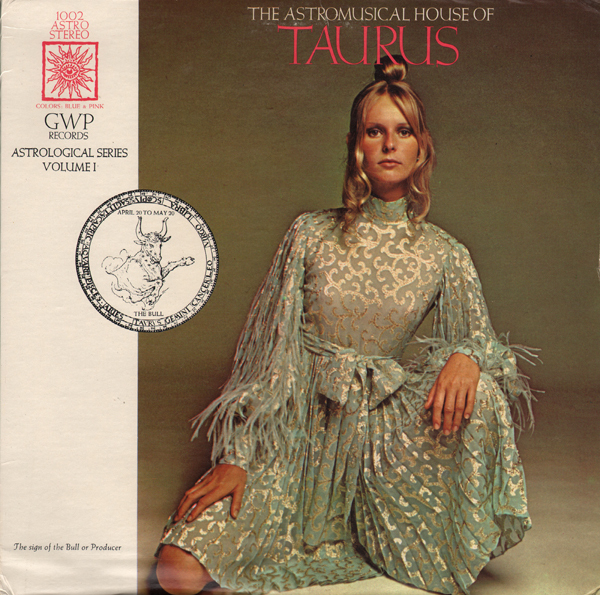 Also the album title seems to be referred to in the back cover copy as "Dance Party". All that said, the overall vibe is mild space age and enjoyable. What do you get when you blend a duck taped violin, clown nose and Hey Jude? An irresistible pick at Goodwill on 50% off day. 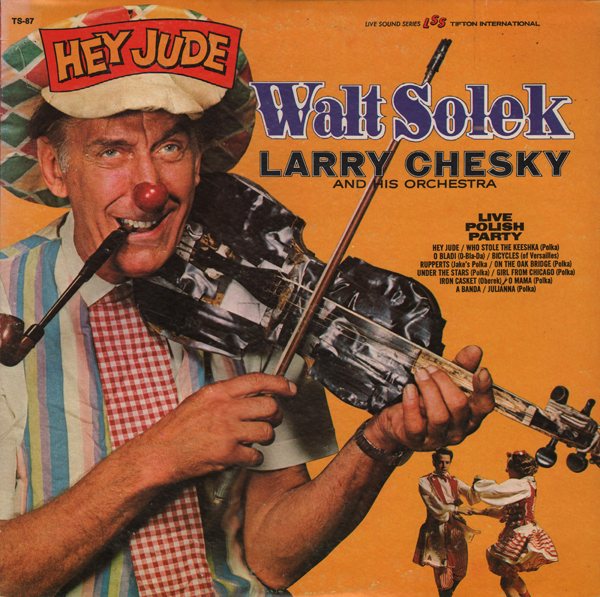 Chesky's page on International Polka.